Men’s Divorce is proud to present Men’s Divorce Countdown, sponsored by Cordell & Cordell! Join Dan Pearce, online editor at MensDivorce.com, as he highlights ways of reclaiming your space after a divorce. 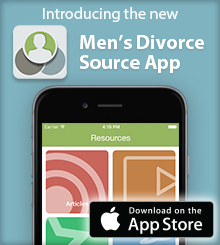 Make sure to check out every episode each month of our new series at the Men’s Divorce YouTube page!